Visitors voted for their favorite exhibit this year using the new Flower Show app, and Flowers by David won their hearts and minds. Flowers by David is the husband-and-wife team of David and Robin Heller from Langhorne, PA. Each year they amaze with their creative displays, and this year’s fountain installation adorned with tribal tattoos raised the bar even further. Thanks for everyone who voted, and congratulations to Flowers by David! The free culinary demonstrations at the Flower Show on March 6 – 8 run the gamut from food preservation techniques, to recipes from Ireland, to the use of salsas and sauces as flavor boosters, and more. Show favorite, the great Chef Joseph Shilling and students from JNA Institute of Culinary Arts will host and assist, respectively. Victoria von Biel is the new consulting food and wine editor for Organic Gardening magazine and former executive editor of Bon Appetit. She has studied cooking in both the United Kingdom and the United States and completed a post-graduate course in wine studies at the University of California. 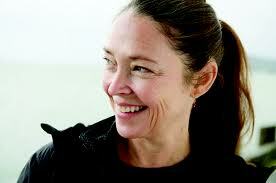 She has appeared as a judge on the Food Network’s Iron Chef and speaks frequently about food and travel writing. 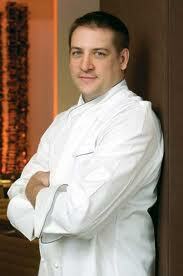 Patrick McLarnon is the head chef at Francesca’s Restaurant in the four-star Brooks Hotel in Ireland. Sponsored by Tourism Ireland, Chef McLarnon will demonstrate the art of Irish cooking. 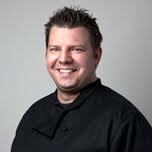 David Boyle is the executive chef at Davio’s Northern Italian Steakhouse in Philadelphia. 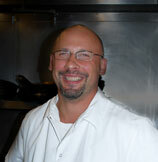 A graduate from the renowned Restaurant School in Philadelphia, Boyle won acclaim in France and Philly, including at Jake’s in Manayunk, where under his stewardship the restaurant won the first of what would become three consecutive Mobil Guide Four-Star Awards, and a “Best of Philly” Award for Best Brunch from Philadelphia Magazine. His food received a rating of 27 (out of 30) from Zagat for two years running, and a rare “three bells” rating from the discerning Philadelphia Inquirer food critic, Craig LaBan. 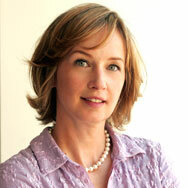 Dana Jacobi is known for creativity and innovation in recipes, food writing, and product development. Dana has written 10 bestselling cookbooks, including two ground-breaking cookbooks on soy, both honored by distinguished culinary awards. 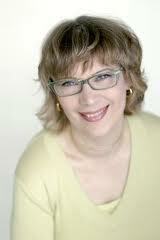 She writes a nationally syndicated newspaper column, Something Different, and has produced numerous magazine features. She was also the first food writer to work full-time online and to host a food chat-room. Dana has marketed her own specialty food line, created products, run a catering service, and served as spokesperson for companies and commodity boards. For a complete list of culinary demonstrations, click here. Big thanks to Organic Gardening magazine for sponsoring the culinary room. 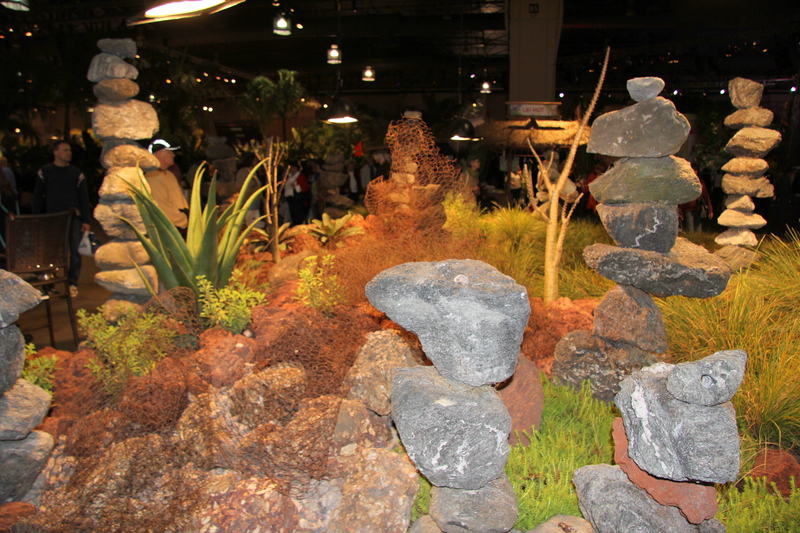 It’s opening day of the 2012 Philadelphia International Flower Show! Starting at 8 am today an eager group of early-birds have flocked to the Show floor to be the first among their friends to see “Hawaii: Islands of Aloha”! As you tour the Show, you’ll be overwhelmed by the sights, sounds, and smells of all of the incredible displays, but have you ever wondered about an exhibit’s back story–the inspiration, construction details, and history? A chat with a few of the exhibitors yielded some fun factoids. Robertson’s Flowers of Chestnut Hill has created a beach wedding tableau, complete with floral altar and graceful white arches. According to designer Eric Schellack, those arches may dissuade a superstitious visitor; they’re made from aluminum ladders! He said that a small army of 20 people worked on the display, assembling more than 1,500 vases and arranging 2,000 stems shipped directly from Hawaii. Let’s hope that the power of the leis on the altar, a traditional symbol of good luck, overcomes the power of the ladders! The American Institute of Floral Designer’s (AIFD) exhibit celebrates the Merrie Monarch Festival that honors the legacy left by King David Kalākaua. This mighty monarch inspired the perpetuation of Hawaiian traditions, native language, and the arts, including the hula dance. Individual displays depict every type of hula from dancing for rain, to stop the rain, for fire, wind, water, and healing. AIFD designers from around the country have assembled to create the vignettes. “It’s a very literal interpretation,” says Ron Mulray, head designer, who added that more than 2,000 stems of anthuriums will be sculpted into the backdrop. If Ron is at the exhibit when you stop by, be sure to ask him about the history of the hula dance—he’s an expert! Want to Have an Amazing Flower Show? There’s an App for That. Be a Flower Show insider with everything you need to know at the tips of your fingers. The new, free Flower Show app is available on smartphones, tablets, and any device that has Internet connectivity. With the app you can find out all about the Show, including exhibitor information, the list of Marketplace vendors, the schedule of presentations and performances, and parking advice—all in one easy-to-navigate interface. You’ll even be able to participate in real-time voting on the design competitions at the Designer’s Studio, making your visit truly interactive experience. 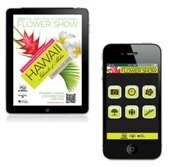 Whether you have an iPad, iPhone, Android, or use a laptop or desktop, the Flower Show app is for you! Click here for details and links. The free culinary demonstrations at the Flower Show promise to delight and educate audiences with a variety of international cuisines and cooking styles. 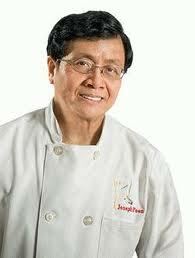 The two chefs below will lead presentations on Sunday, March 4 and Monday, March 5. As always, the great Chef Joseph Shilling and wonderful students from JNA Institute of Culinary Arts will host and assist, respectively. An inspiring and engaging personality, Chef Edward Lee will demonstrate his talents while exploring flavor combinations and creative vegetable dishes. A 2011 James Beard Finalist for Best Chef: Southwest, a winner on the Food Network’s Iron Chef America, and a competitor on Bravo TV’s Top Chef Texas, Lee is chef/owner of 610 Magnolia in Louisville. He draws inspiration from his Asian ancestry, his training in French kitchens, and his newly adopted hometown in the South. 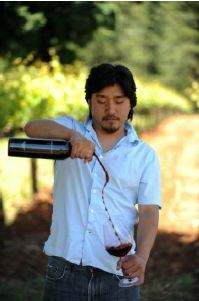 In addition to cooking, Chef Lee is a contributing writer to Gastronomica, Organic Gardening, and other publications, and has written an upcoming cookbook of recipes and stories. Chef Sarah Fioroni will bring a taste of Tuscany to the Culinary Room with her authentic farm-inspired recipes. 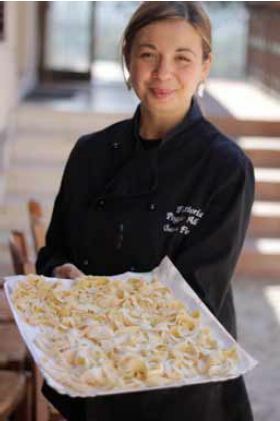 A native of San Gimignano, Italy, she is the general manager and executive chef at Fattoria Poggio Alloro, her family’s organic farm/resort in the Tuscan hills. Her book, A Family Farm in Tuscany: Recipes and Stories from Fattoria Poggio Alloro, will be released in April and chronicles the three generations of Fioronis who work on the farm using age-old practices of growing fruits, vegetables, and cereal crops such as wheat for pasta, olives for extra-virgin olive oil, and grapes for their award-winning wines. They also keep bees, produce saffron, and raise pigs, the basis of homemade prosciuttos and salamis. The likely highlight of this year’s Central Feature—Pele’s Garden—will whisk you away from chilly Philly to a tropical paradise with a mind-blowing, multi-dimensional sensory experience created by Klip TV, a cutting edge Philadelphia-based film and video special-effects shop. Klip TV’s unique technology has been in high demand with several high-profile installations. The technology allows Klip to turn any surface into “a video canvas without distortion and with seamless integration.” Seriously, check out the videos on their website, you’ll be amazed. 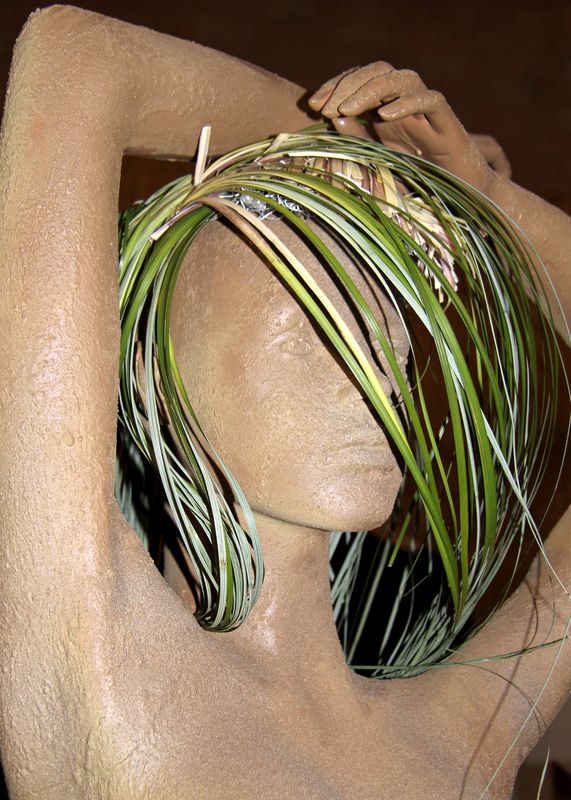 For the Flower Show, Klip has turned the peaked roof of a standard-looking thatched hut into a presentation screen. The neighboring performance stage will allow live actors to interact with the images projected on the roof. 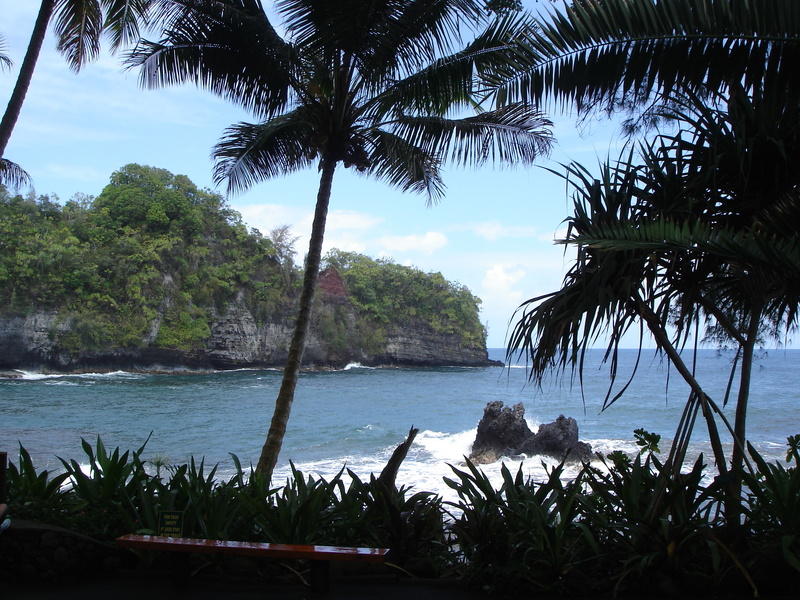 Pele’s Garden is named for Pele, the goddess of fire, lightning, wind, and volcanoes in ancient Hawaiian mythology. So who knows what may show up on the screen; I’d be ready for anything! Many surprises await, but to give you a glimpse of how it all comes together, Sam Lemheney, Show designer, and Gary Radin of GMR Design visited the studios of Klip TV and brought back the behind-the-scenes photos above to share with you! 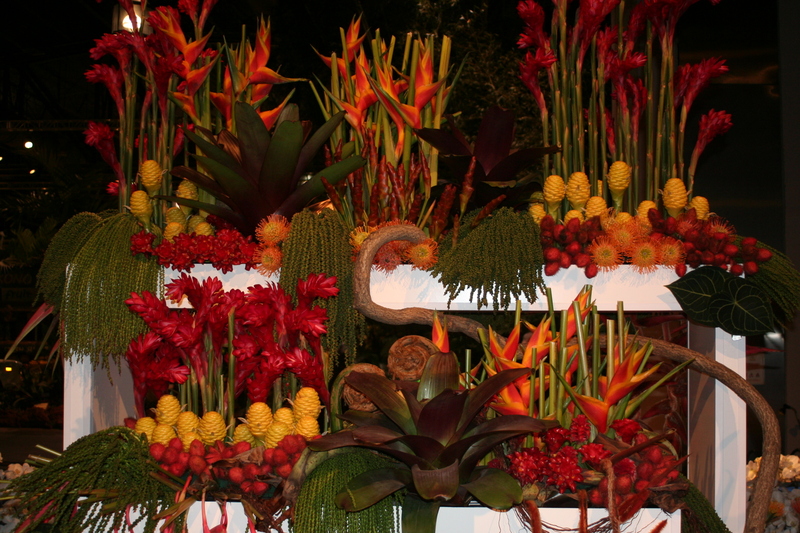 As the 2012 Flower Show comes closer, I’ve been reflecting more on my fantastic trip to Hawaii. From the moment I stepped off the plane I was greeted with warmth and openness. This continued throughout my travels as strangers quickly became friends. So this is the “aloha spirit” I’d heard so much about! Now I have the awesome responsibility of recreating this energy for everyone who comes to the 2012 Flower Show. I’ve done my best to hold true to the customs and culture of this amazing state; and I hope I make my new friends proud. You’ll get to meet some of these wonderful people for yourself. We’re setting up a shopping and demonstration area called the “Hawaii Village.” Here you’ll see talented craftspeople at work and have the opportunity to take home items that speak to you. Be sure to ask the artisans questions; they take pride in their products—and you’ll see why. I have to extend heartfelt thanks to the Hawaiian Tourism Authority for its endless insights throughout this process. I’ve learned so much and have gained memories that will last long after the Show closes. 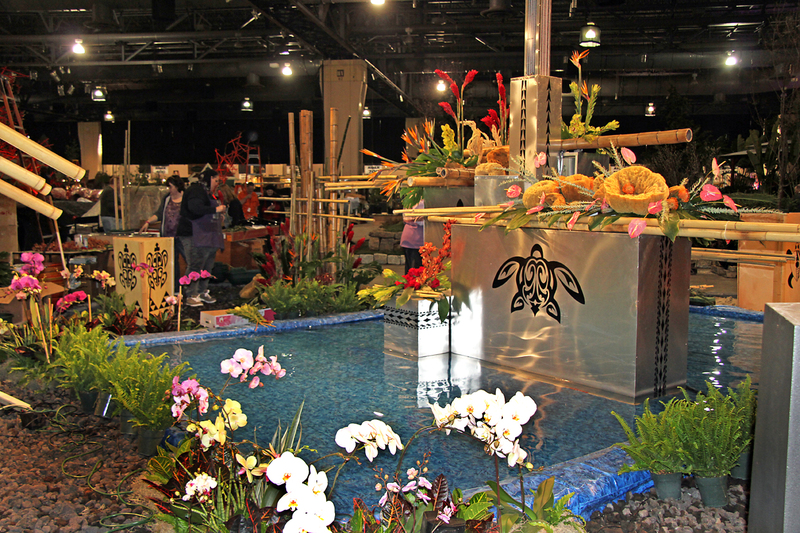 I also want to recognize the Hawaii Tropical Flower Council (HTFC), Hawaii Floriculture & Nursery Association (HFNA), Hawaii Florists & Shipper’s Association (HFSA), Hawaii Export Nursery Association (HENA), and Orchid Growers of Hawaii (OGOH)—all of whom will be represented on the Show floor this year. So I guess that’s it. Thank you for reliving my journey with me. If you missed the previous posts, click here. And as they say in Hawaii: Mahalo! Here’s some insider knowledge for those who can’t wait for the Flower Show! 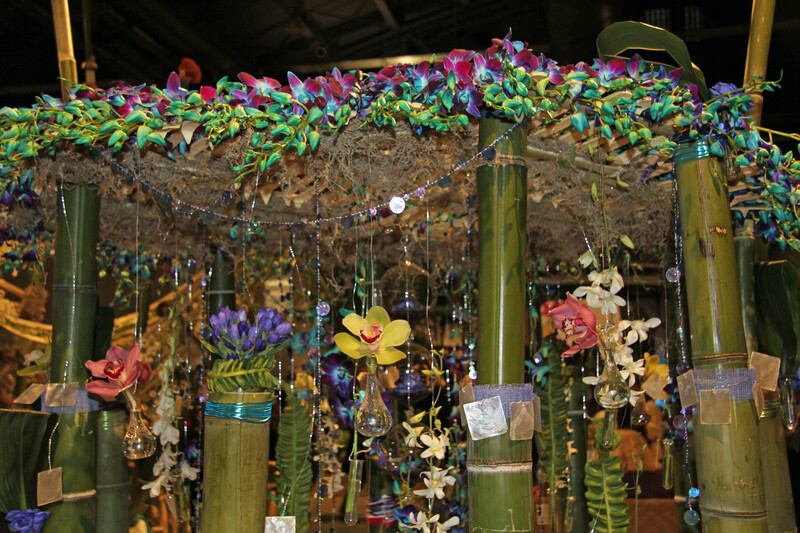 When you come to the Pennsylvania Convention Center, take a look at the leis worn by PHS staff. Don’t expect pastel colors because these leis aren’t made from flowers. Instead you’ll be looking at the kukui nut. Here is a photo of Aleurites moluccana in nature. Its native range is impossible to establish precisely because of early spread by humans, and the tree is now distributed throughout the New and Old World tropics. It grows to a height of 49–82 ft, with wide-spreading or pendulous branches. The nut is round, 1.6–2.4 inches in diameter; the seed inside has a very hard seed coat and a high oil content, which can be used in candle-making. Because the oil can burn for hours, the nut carries a spiritual meaning of light, hope, and renewal. 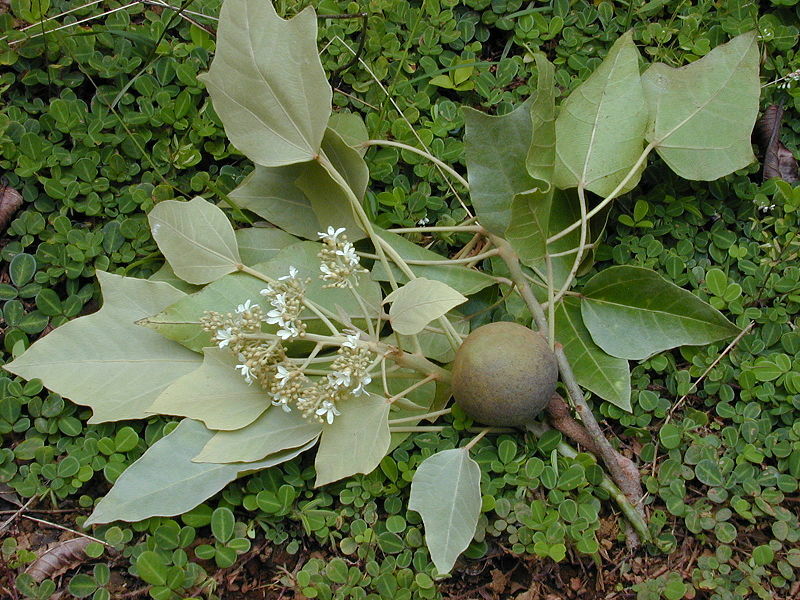 According to some sources we uncovered, the oil of the kukui nut has also been used medicinally by Hawaiians to help treat asthma, stomach aches, and swelling. It can also serve as tattoo dye. A tiny nut sure can do a lot! 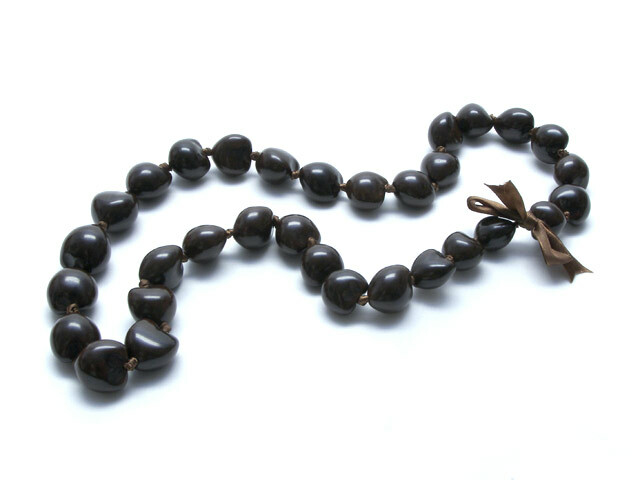 Look for kukui necklaces when you come to the Flower Show.